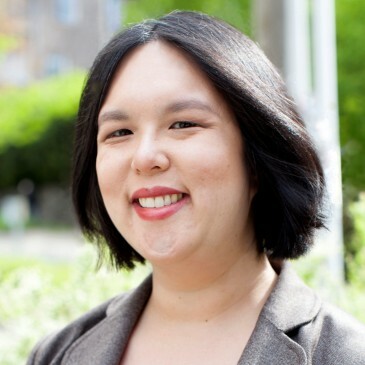 We are pleased to share this guest blog post by Christina Wong, Director of Public Policy and Advocacy for Northwest Harvest. Christina describes the current status of the Farm Bill and she hopes to share updates in the future as the legislative process unfolds. There will be important opportunities for Washingtonians to articulate their constituent views with elected officials in the coming weeks! Check back here for updated information from Christina. During the month of June, Congress will be busy trying to advance a Farm Bill, a comprehensive piece of legislation that governs spending for most federal agriculture and nutrition programs. We all eat and, as such, we should all pay close attention to what happens: changes to the Farm Bill can have a long-lasting impact on the health of our food system, our economy, and the affordability of high quality, nutritious food. The Farm Bill is especially important here in Washington State because it is the vehicle that can enact policy changes to land conservation, sustainable agriculture programs, and nutrition assistance for low-income people. Washington is home to 35,000 farms, most of which are small and family owned; last year, 1 in 8 Washingtonians needed help from the Supplemental Nutrition Assistance Program (SNAP or “food stamps.”) For the health of our communities and our local economies, Washington State needs a good Farm Bill, one that protects the interests of struggling growers and struggling families. Later this month, the House of Representatives will revisit a Farm Bill proposal that was defeated on the floor in May. H.R. 2 eliminates funding for key land conservation and market promotion programs that help sustain small farms. H.R. 2 also cuts SNAP, taking food off the tables of 2 million individuals nationwide. Here in Washington, the SNAP cuts would primarily hurt working families with children. We are hearing that a better bill for Washington and our nation will likely be introduced in the Senate. Senate leadership wants a bill that will garner strong bipartisan support so that we can have a Farm Bill that provides much needed relief in all communities, but concerned citizens should still watch the Senate process for harmful amendments. You can learn more about the House and Senate Farm Bill proposals and find resources to help you contact our Congressional delegation by visiting the resource pages for Northwest Harvest and the Anti-Hunger & Nutrition Coalition.